Passion fruit isn't rare, but it doesn't arrive in most markets often enough to keep the fruit stocked year-round. Making jam with passion fruit keeps you in stock all year if you process the storage jars in a hot-water canner after you fill them; the jam keeps about a month if you store it in the refrigerator unprocessed. You need about 12 passion fruits to make about 1/2 to 3/4 cup of finished jam. 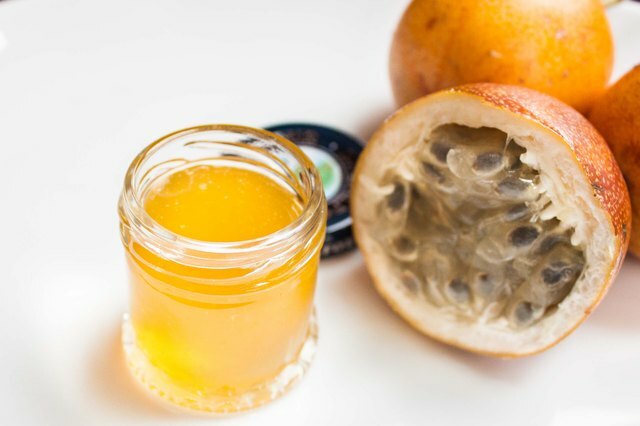 Passion-fruit jam derives most of its body, and its pectin, from its pulp, not its skin. 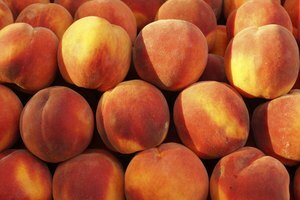 The pulp doesn't release from the skins easily unless you soften the fruits in simmering water for about 30 to 45 minutes; the skin and pulp turns almost translucent when it's ready. 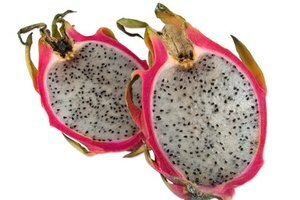 Slice the passion fruits in half and scoop out the seeds before simmering them; reserve the seeds to incorporate into the jam later. You have to mash the passion fruit with the skins to extract the pectin. Running the softened fruit though a food mill works best because the screen traps the skins and lets the pulp through unimpeded. If you don't have a food mill, use a fork or potato masher to mash the passion fruit and press the mixture through a strainer and into a heavy-bottomed saucepan using a spoon or spatula. 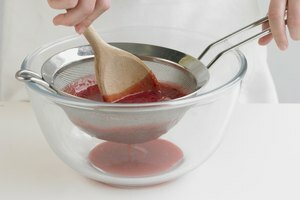 If you don't want the seeds in the finished jam, add them to the pulp before you mash it; the mill or strainer will prevent them entering the saucepan. If you want seeds, add them to the saucepan after you add the mashed fruit. Sweeten the passion fruit with granulated sugar for best results. 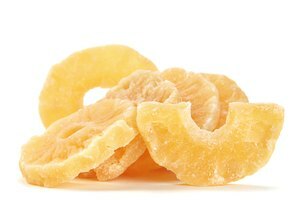 When heated, sucrose effectively activates the pectin and gelatinizes the pulp to a jam consistency. 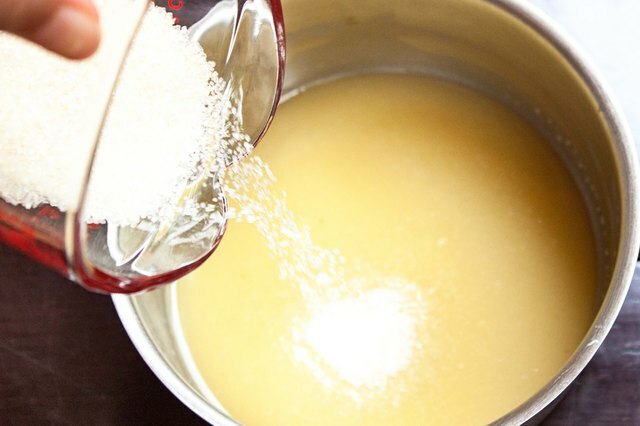 Use 1/2 cup of sugar per 1 cup of pulp for light sweetness and equal parts pulp and sugar for heavy sweetness. Stir the pulp and sugar together and set the heat to medium-high. Place a couple of metal spoons in the freezer to test the jam later. 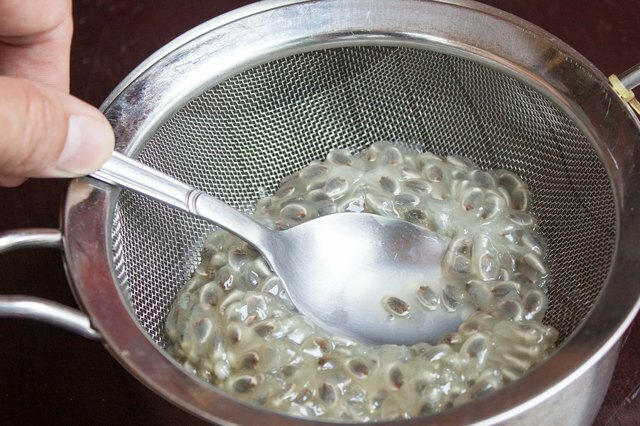 Bring the passion-fruit pulp to a boil over medium-high heat. 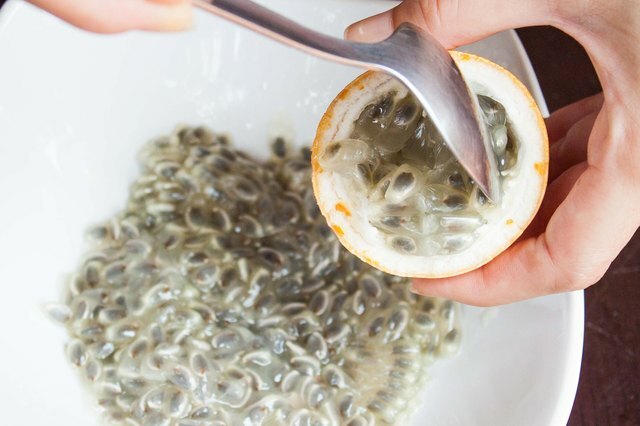 The time it takes the passion fruit to gelatinize and thicken varies, but you can expect it to take 8 to 12 minutes, depending on the amount of water left over from softening the pulp. 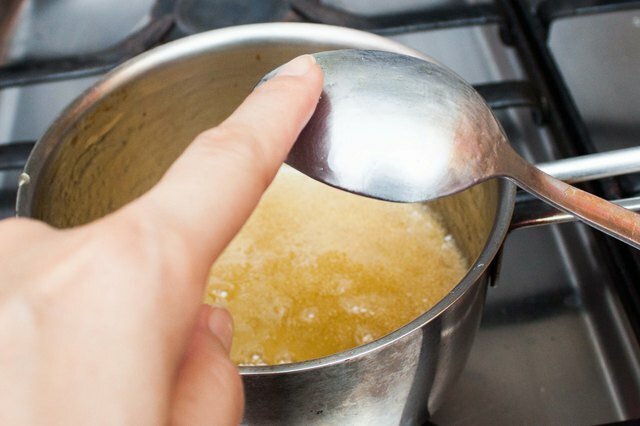 Stir the jam frequently as it boils and test to see if it has set after 8 minutes. Dip a chilled spoon in the passion fruit and run your finger though it on the backside; if the jam doesn't run, it's ready to finish. Taste the jam when you test it and adjust the taste with lemon juice or sugar as needed.